Over the past decade, Novartis India’s Arogya Parivar project has provided free healthcare access to millions of Indians. It’s a business model, not charity. Monique and Meghdoot work together closely, but their goals are worlds apart. For Meghdoot Deherkar, Head of Sales and Operations at Novartis India, the bottom line is profit. A steadfast salesperson with over two decades of work experience, his motive is money. Dr. Monique Kamat, however, is a social worker. The head of a social vertical at Novartis India, her ambition is to provide affordable healthcare to India’s rural poor, having spent much of her career with non-profits across the world. And yet, both of them sit together to devise expansion strategies and pricing models for Novartis. What brings the profit-minded salesperson and humanitarian social worker together is Arogya Parivar – Novartis India’s for-profit social initiative, now in it’s tenth year, having survived operational challenges and financial pressures to become a mature program, running across 11 major states in India. Launched in 2007, the program’s success in India has encouraged the company to also roll it out in Kenya, Indonesia and Vietnam. So, why does a profit-seeking pharma multi-national hire social workers to work with salespeople and provide free healthcare to India’s poor? With an estimated 65% of India’s population not having access to basic healthcare, the challenge faced by pharma companies is not just that their products are not being bought enough, but that people do not know enough. Burdened by poverty and social discrimination, most Indians do not have the ‘health-seeking behaviour’ to visit a doctor, get diagnosed and buy the medicines prescribed. Take, for instance, treatment of urinary infections among young girls in rural India. “We discovered that urinary tract infections [UTIs] in girls often went untreated because girls feared the consequences of being accused of being pregnant if they were seen visiting a doctor. The UTIs got so bad in some cases that their uteruses had to be removed. That is a big price to pay for an infection that can be cured with a simple antibiotic,” Udit Batra, Novartis’s former Head of Corporate Strategy, told Harvard Business School researchers for a paper published recently on the project. What this indicated to Novartis was that their sales representative educating a local doctor about their least-expensive and best antibiotic will not get their business up. The girls and their families first needed to be given basic education and access to healthcare. The challenge was not just market access, but also information asymmetry. Arogya Parivar, thus, combines health educators with a sales force, to achieve the company’s revenue goals, while improving poor people’s access to healthcare. The program’s social workers first educate people in rural areas about basic healthcare by holding meetings and health camps, and salesmen simultaneously reach out to local doctors and pharmacists to push Novartis’s products. 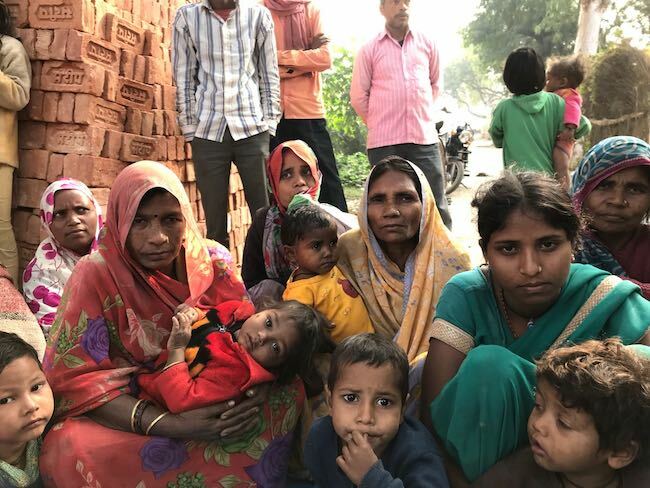 “We don’t look at these people as poor, but as prospective customers,” says Lokesh Kumar, Country Head of Novartis Social Business. “Our intention is to increase the pool of people with access to medicines. As the pool grows, so does Novartis’s share in the pool,” says Deborah Gildea, Head, Novartis Social Business, APAC. As journalists – invited for a guided tour by Novartis India - step down from their SUVs, a town crier is drumming around asking villagers to step out for the health camp organised by Arogya Parivar. Men, women and children settle down in front of a makeshift street classroom, and Arogya Health Shikshak (health educator) Prem Chand Maurya takes the stage to narrate a small story on women and health. He is wearing an ‘Arogya Parivar’ branded shirt, and uses simple language and a storyboard to communicate. He speaks the local dialect, and also introduces new words like ‘antibiotics’ into their vocabulary. There is no mention of Novartis products. There are strict guidelines on what the educators can speak. They have three key messages, explains Dr. Monique, “Early treatment, complete treatment and treatment by doctors (and not quacks).” Each of these three key messages address important problems of patient behaviour. First, patients often tend to visit a local quack than travel farther to visit a qualified doctor. Secondly, they tend to wait till their health worsens, to see if they really need to visit a doctor. And thirdly, even if they do start the treatment, they might not complete it. For villagers, these meetings are also reminders of the importance of cleanliness and hygiene. “The shikshaks tell us about better health practices and explain illnesses to us. We do not get to know about these things otherwise,” says Savithri, a 62-year-old woman attending the meeting with her granddaughter. More access to information, however, also means increased health expenses. Now that the women know they can live better, they wish to spend more on their personal health. Are they not worried about the expenses? “What do we do about it? We have to pay if we need better health, right?” says Uma, another villager. These health meetings are just first steps to creating access to health care. A major challenge for people in rural India is that they have to travel several miles, at considerable expense, to visit a doctor. So, Arogya Parivar also arranges health camps with qualified doctors in these villages. 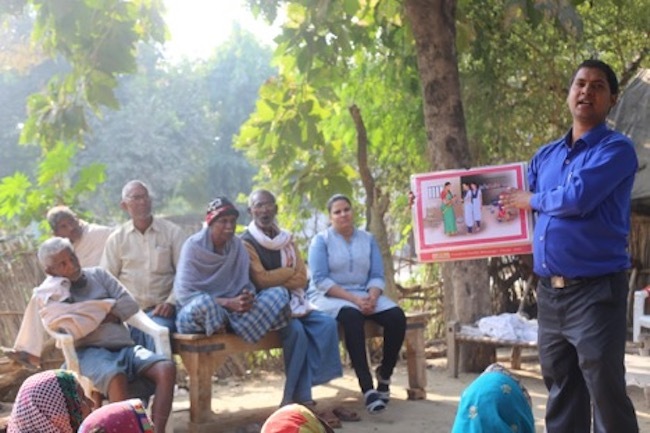 A few hundred meters away from the health meeting, Dr. Sonali Maurya is in a local school’s classroom, conducting basic health checks on the villagers. Residing in a nearby town, she is one of the several thousand pro bono doctors volunteering with Novartis to conduct these camps. 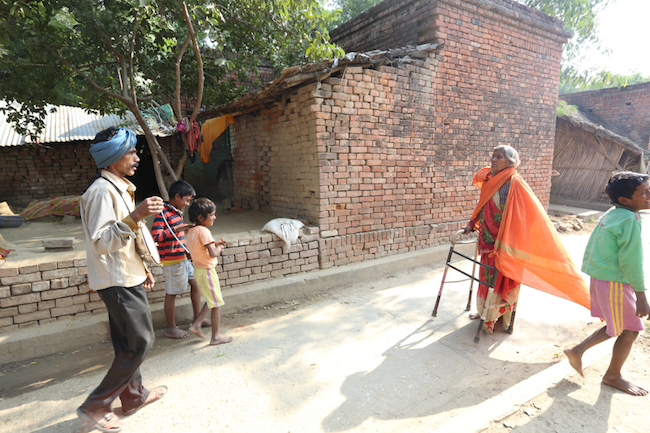 Villagers line up in front of her and when their turn arrives, they sit down on a chair and narrate their medical woes. She patiently explains to them what illness they have, and prescribes further course of action. “I get between 50 and 80 patients at every camp, and most of them are adults with minor illnesses,” she explains. Dr. Sonail Maurya at an Arogya Parivar health camp. Deborah is quick to point out that these doctors are under no compulsion to prescribe Novartis’s products. “We have no control over their prescriptions, and we don’t focus on our product in therapy areas,” Lokesh adds. The doctors are however reimbursed their travel expenses for the camp. Why does the doctor spend an entire day here, when she does not earn anything? “It’s social work for me,” says Dr. Maurya, adding that she feels good to come over once in a while and help people out. But it’s more than just that, Lokesh points out. “These camps also increase footfalls in their clinics. They get the opportunity to meet new patients and strike a rapport, and when they need a doctor in the future, they go to them,” he says. It’s a win-win for everyone. The health camps and meetings are the foundation for their business. But the money is made from the massive, ever-growing network of distributors and pharmacists who are a part of Arogya Parivar. The medical teams that create awareness do not have any sales targets, but there is a synergy between them and the sales team. And it’s the sales teams that make the program viable. Our next stop is the Khamaria Market, not too far away from Dhaurahara. As we make our way through the dusty streets, halting for hot chai and appetising samosas at the local mandi, an Arogya Parivar sales representative explains how they market medicines with local doctors and pharmacists. Local pharmacists and doctors agree that Arogya Parivar helps both patients and business. 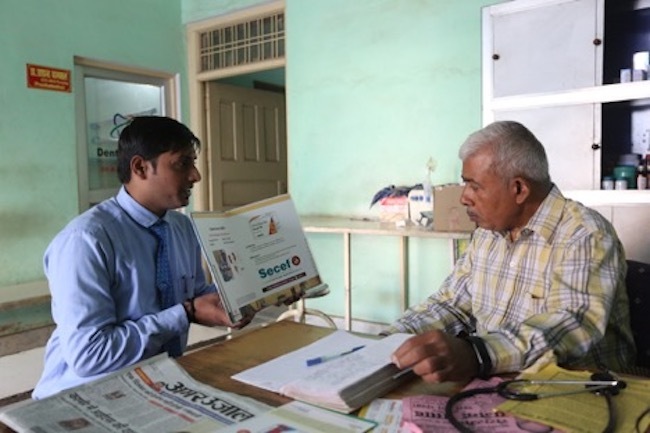 Dr. Prahalad Baranwal, who has been practising at his small clinic in Khamaria Market for 35 years now, says that people are more informed and receptive to medical advice because of Arogya Parivar. “Because of the health camps, people are aware that they can get help for their medical issues. Sometimes they don’t even know what the issue is, but after the camp, they get encouraged and seek me out,” he says. Since Dr. Baranwal does not participate in the medical camps at the village, Novartis’s medical representatives are in regular touch with him, recommending their products. An Arogya Parivas sales rep with Dr. Baranwal. Sachin Mishra, a stockist and pharmacist in Khamaria, says that his sales have gone up considerably because of Arogya Parivar. But there is one other important reason for Novartis products doing brisk sales – pricing. The Novartis products sold in these markets are Sandoz products, which is the generic medicines brand of Novartis India. The healthcare chain doesn’t stop there. 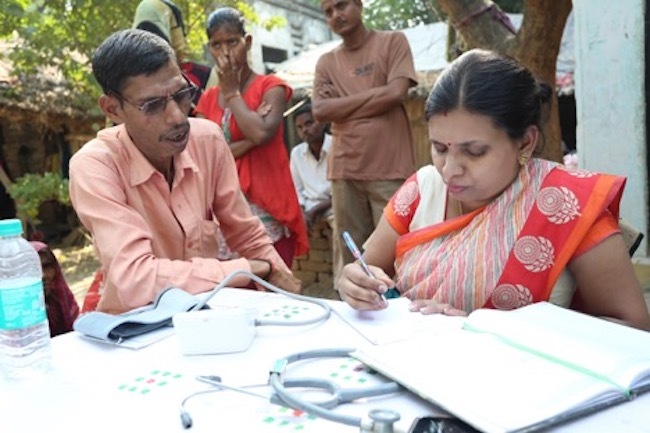 Novartis has partnered with FMCG major ITC to set up a telemedicine centre near the rural areas, which connects to a bigger hospital in Varanasi. Senior specialists are able to speak to visiting patients through video call to give them advanced medical advice. If required, the patient then travels to the city for further medical procedures. “With this, we are able to close the loop, from primary to tertiary healthcare,” says Dr. Monique. Novartis claims that Arogya Parivar has ‘touched’ 31 million Indians across 11 states in the past decade. In 2016, they reached out to 7.4 million people through 138,000 health awareness camps. There are 240 cells across India, with 33,000 doctors, 24,000 chemists and 240 distributors linked to the program. It is a mammoth operation which is educating people and driving profits. How much profit does Novartis make out of Arogya Parivar? The company does not reveal figures. While the narrative they maintain is that it is ‘almost zero profit’, a company presentation makes it clear that it is not ‘zero profit’. An official says, off record, that they do not push for profits beyond 20% of their operational expenditure, and much of it is pumped back into the program. During an emotive pre-visit presentation, Lokesh Kumar said that working on the program was ‘gratifying’, because they were now able to ‘give back’ to the society. But the business motivations cannot be missed, and even the company agrees that programs like these are financially beneficial in the long-term, since it enables them to get ‘deeply entrenched’ into the system. What drives the company to keep the program alive is that it broke even in just 31 months. Pharma companies like Abott have come under severe criticism for using health camps to push their products. But Novartis assures that they maintain an iron wall between their medical and sales teams. “At no point during our medical meetings or camps do we mention Novartis products. In fact, 95% of the prescribed medicines in our health camps are not Novartis products,” says Deborah. It is to be noted that the sustainability of this model itself lies in the fact that it is financially independent. When the late management guru CK Prahalad went to the Novartis board in 2005 to convince them to take up this approach, based on his Bottom of the Pyramid theory, he challenged them to move away from conventional approaches of CSR and charity, towards a profitable way of helping the poor. It is common knowledge today that in the long run, charity is unsustainable. Not everyone is convinced. A WHO paper on social business interventions of pharma companies says that, “while potentially positive, the effects of social business initiatives remain largely unknown.” Novartis says researchers from Boston University are in the final stages of publishing a study on the outcomes of the decade-long program, which could help us understand the public health impact of such programs better. Can social businesses be a part of a nation's public health strategy? There is no proof to suggest it can, not yet. And how can big pharma convince cynics who believe 'social business' is nothing but another rural marketing strategy? “It’s what we choose to do than what we say. By showing what we do, the change we bring to the lives of people, we will be able to convince even the cynics,” says Deborah. Full disclosure: TNM was part of this fully-paid trip organised by Novartis India to visit the Arogya Parivar program. Images: Ramanathan S and Novartis India.